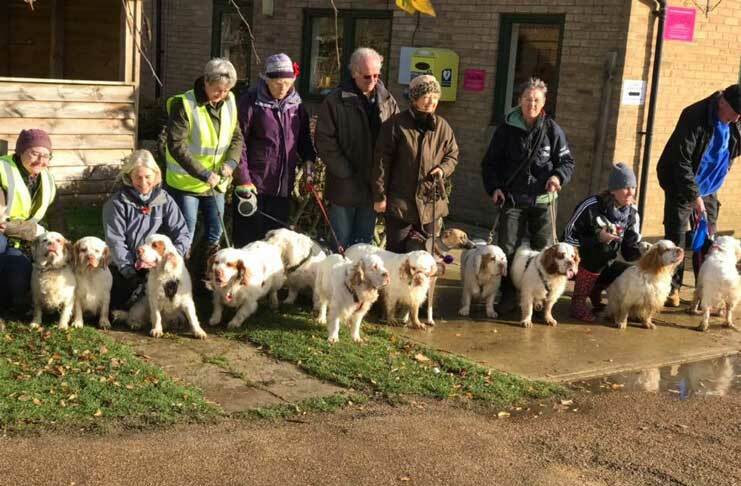 Fourteen rare Clumber Spaniels and their owners from across the East Midlands took part in a walk in the third Clumber walk Hinchingbrooke Country Park, Huntingdon on Sunday 11th November. The walk was blessed with sunshine but there was still plenty of mud for the dogs to collect in their coats and take home. The walk stopped at 11am for the national two minutes silence but not every dog cooperated fully. 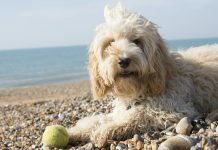 Clumbers are the largest of the spaniels and have a gentle, loyal and affectionate temperament making an ideal “family friendly” pet. They are much more laid back and require less exercise than other gundog breeds. The Clumber spaniel is a native British dog with a long history. 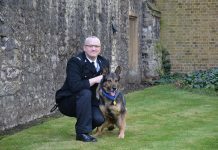 The breed is named after Clumber Park in Nottinghamshire where it was developed by the Duke of Newcastle and his gamekeeper, Mansell, in the 1700s and subsequently bred for over 75 years by the Foljambe family at Osberton. Clumbers have been kept and bred by members of British Royalty, including Prince Albert, King Edward VII, King George V and Princess Ann. Further information is available on the Walking with Clumbers UK Facebook or from B or R Weston: Phone: 01530 456071, Email walkingwithclumbers@gmail.com for registration details.